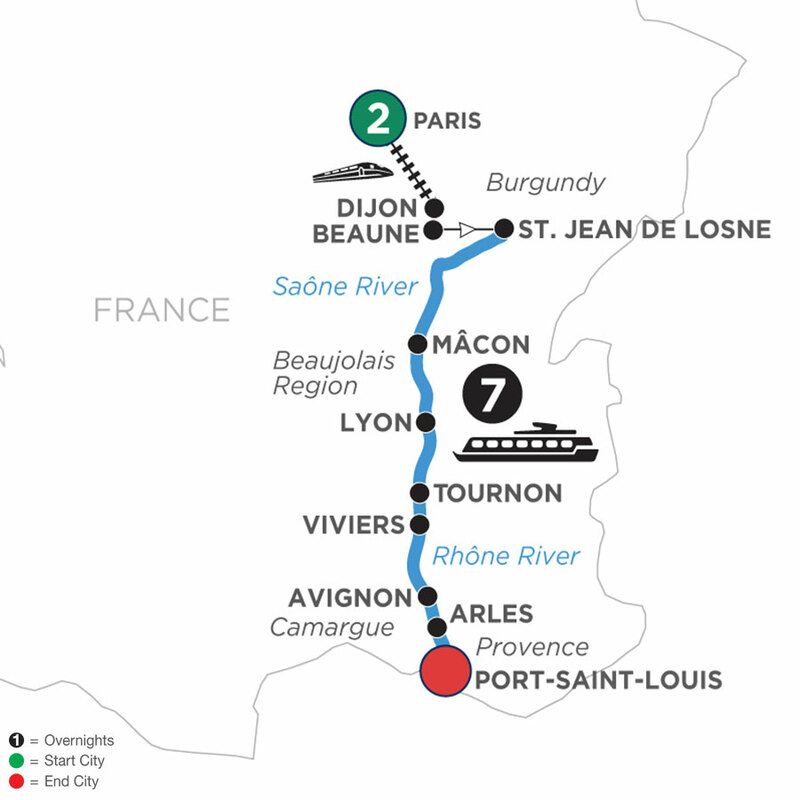 Enjoy the wondrous view on your river cruise through beautiful France along the Rhône and Saône Rivers with guided sightseeing in the well-known French treasures and some hidden gems too! This France river cruise adventure begins in style with two overnights in Paris-one of the world's most romantic and vibrant cities! The City of Light has Notre Dame Cathedral, the Eiffel Tower, and the Louvre Museum with its elegant glass pyramid contrasting its ancient architecture. A guided city tour will show you all the must-see sights before you travel via high-speed train from Paris to Dijon. You'll tour one of France's architectural and home of Van der Weyden's "The Last Judgement" gracing Beaune's Hotel-Dieu Charity Hospital-built in 1443. You'll sail to the Chardonnay wine region of Macon, enjoying cheese tasting on board. 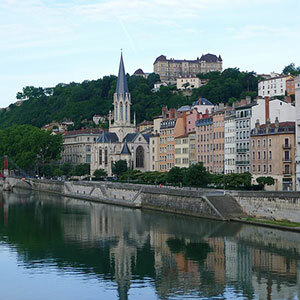 You'll visit Lyon, a showcase of medieval and Renaissance architecture, as well as France's gastronomic capital. Lyon offers wonderful sights, including the popular Place des Terreaux with its famous fountain seen on postcards, and world-famous cuisine to discover on a guided culinary walk. Beautifully nestled among vineyards, you'll find the twin cities of Tournon and Tain l'Hermitage, where you'll go on a guided walk of Tournon, a medieval treasure with plenty of Roman ruins and fascinating 16th-century castle. Continue to Viviers for a guided walk through this charming village. Cruise to historical Avignon and see the 14th-century Palace of the Popes-the largest gothic fortress in the world. On the Rhône River sits Arles, with its 1st-century Roman amphitheater still used today. Attend a painting workshop in the style of Van Gogh whose work was inspired by the setting here. You'll conclude your delightful French river cruise in Port-Saint-Louis.